Making unforgettable and pleasant moments last forever has never been easier; it’s only as far as a click of a button on your mobile phone, piece of cake you may say. Making unforgettable and pleasant moments last forever has never been easier; it’s only as far as a click of a button on your mobile phone, piece of cake you may say. For those craving originality and uniqueness Becher Ateliér (Becher workshop) is fully available that turns even an ordinary photo into a rare piece of art. Becherovka has gone all out to bring its fans a completely new dimension of exclusive experience in reference to plugging a new TV spot with a tagline „More passion brings you more joy” which hit the ground running. In the TV spot the founder of the company conceived the legendary green bottle holding the beverage that enjoys huge popularity across the board. Joining traditional painting skills with the attributes of modern photography resulted in the authentic Becher Ateliér (Becher workshop) which is to serve as an inspiration to all those who work hard and play hard, too making the most of every opportunity that comes up. To make a long story short it is intended for all those who harbor the knowledge to seize the joy in every moment-that individual has got the name of art written all over them. 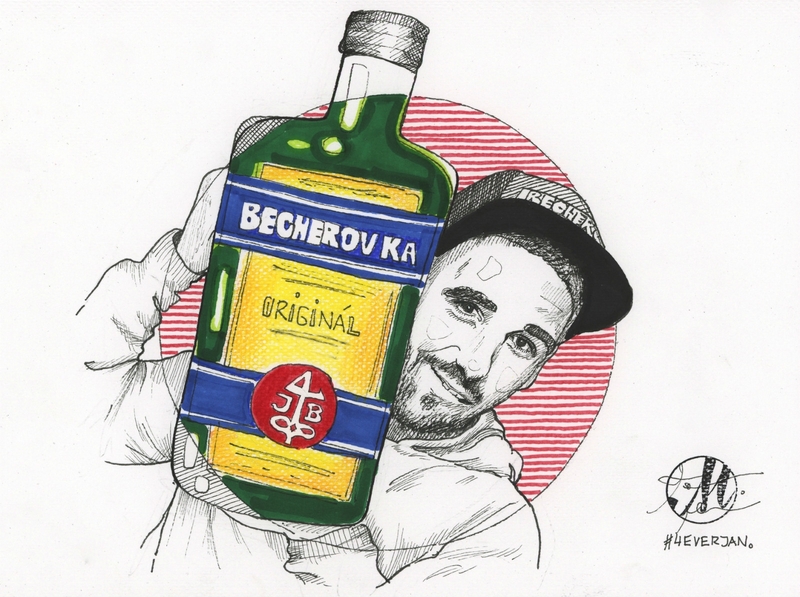 The Becherovka Facebook page has been filling with countless pics 24/7, as many as 30 pics a day uploaded by enthusiastic fans catching the moment of joy in everyday life not to be forgotten, ever. That’s the very essence of Becher Ateliér in which 3 brilliant illustrators – Tina Minorová, Petra Žiačiková a Mišo Löwy – have their hands full of turning photos into drawings teeming with moments grasping joy and passion. Ladies and Gentlemen behold-masterpieces are being born. That’s exactly what Becherovka is all about – never to be forgotten charm, passion and enthusiasm. Feel free to check out the unparalleled Becher Ateliér at http://www.becheratelier.sk/.